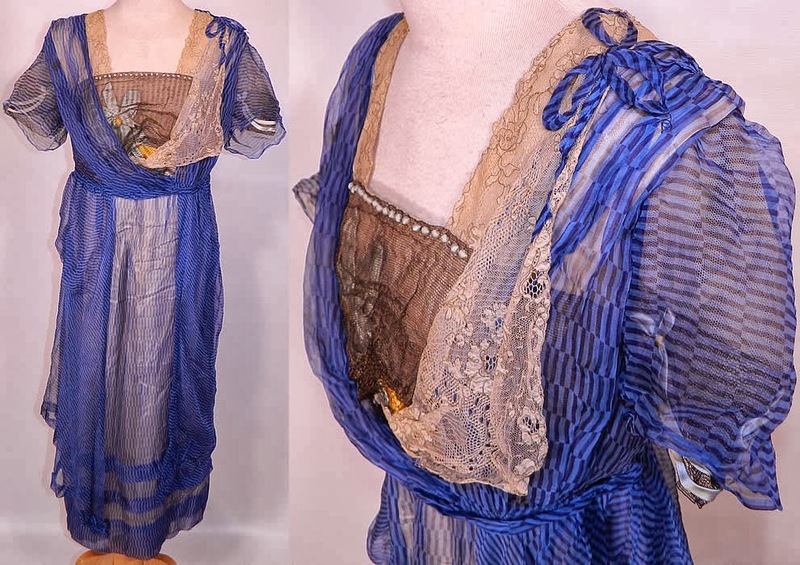 This Edwardian Titanic era blue black stripe silk chiffon gold lace gown Hosac Chicago Paris label dates from 1911. 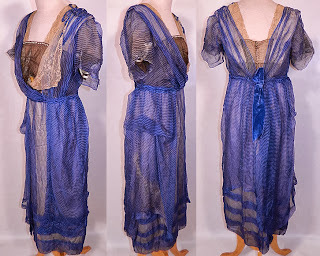 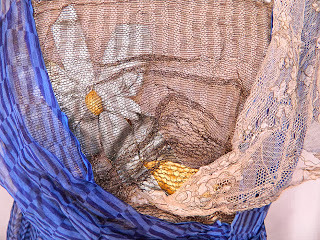 It is made of a blue and black stripe sheer silk chiffon fabric, with a gold metallic mesh net front top panel covering blue silk flowers underneath and ecru gold lace trim accents. This beautiful blue dress has a long tea length skirt, a layered style, with a gathered drape skirt, short sleeves, bow trim shoulder, blue velvet ribbon bow back trim, snap closures on the back and is fully lined in an off white cream color silk fabric. 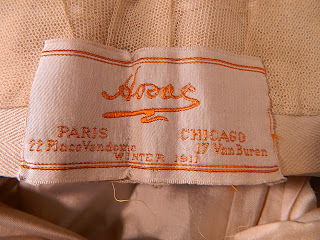 There is a "Hosac Paris Chicago Winter 1911" designer label sewn onto the inside waistband. The dress measures 44 inches long, with 36 inch hips, a 26 inch waist, 34 inch bust and 13 inch back. It is in good condition, with only some faint fade discoloration along the side skirt and a few small age spot stains. 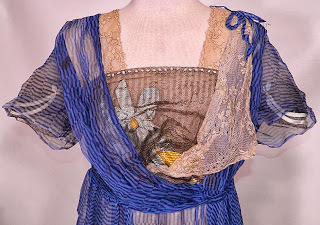 This is truly an exceptional quality made piece of wearable art!